After seeing several of my friends enjoying their kayaks, I decided to invest in one of my own. Knowing that I would only use it on occasion, I wanted one designed for beginners just looking to have some fun. A Sun Dolphin Aruba 8 review pointed me in the direction of an affordable yet good quality kayak that I could enjoy. Before you purchase a kayak, I learned that it is important to take several factors into consideration starting with weight, cargo options, and sit-in vs. sit-on-top. Not every body of water will have a place for you to pull your vehicle or trailer up to the water, so you may end up having to carry your kayak quite a bit. Even if you are a big and strong person, you’re probably going to want to find a lighter kayak to make your life easier. However, you will also not want to compromise the weight limit, so you will have to find the balance that works best for you and your needs. If you’re like my friends, you may plan on spending several hours on on the lake enjoying each other’s company and exploring. If this is the case, you will want to make sure you have ample cargo space to store your belongings and keep them dry. You might want to bring a cellphone or radio, backpack, or even a cooler if you plan to be out there all day. There are two types of kayaks to choose from. The first is the more traditional sit-in kayak that typically gives you more speed while requiring less paddling effort. You’ll also find that sit-in kayaks have a secondary stability, which is great for rough water conditions. 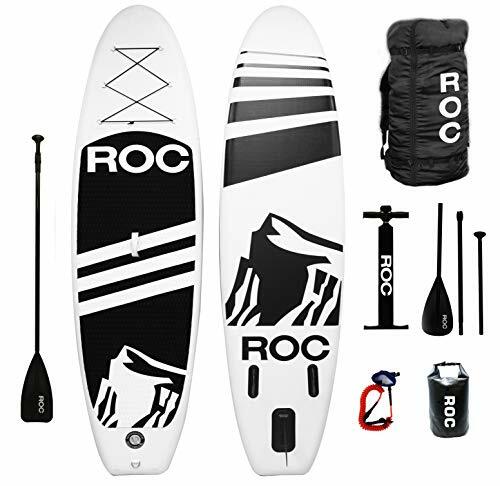 The other style is known as a sit-on-top kayak, which has more initial stability that makes it great for smooth water. Sit-on-top kayaks are also great for beginners since they are unsinkable and easier to re-enter should you fall in or jump in for a swim. The Sun Dolphin 8 kayak is an extremely affordable option for all people getting started in recreational kayaking. The kayak comes with storage, adjustable seating, tracks and paddles, and a molded-in paddle holder. The Aruba 8 measures at 8 feet in length, 28 inches across, and weighs just 27 pounds, while being able to hold up to 260 pounds in weight. It is definitely a more basic model, which is why it is far more affordable than most options. It would be great for any person just dipping their toe into the pool of recreational kayaking or any kayakers on a budget. If you plan on using your kayak frequently for several hours at a time or you are a larger person, you will be more comfortable in another option. Though very inexpensive and relatively plain, the Sun Dolphin Aruba 8 still has several features worth mentioning. To make your life easier, Sun Dolphin added carrying handles to the design of the Aruba 8. As I mentioned before, you will more than likely be spending a decent amount of time carrying your kayak to and from the water. Having the handles will make carrying this already lightweight kayak easier for children and even adults. 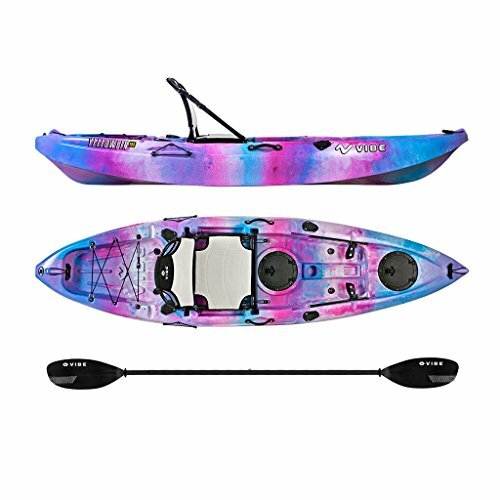 Because the Sun Dolphin Aruba 8 is designed with a large, open cockpit, beginners will find that it is fairly easy to get in and out of this kayak. This is very important as entry can often be one of the leading causes of frustration for new kayakers. Even if you are only planning on going out for an hour at a time, you will be happier with a comfortable kayak seat. Not only is the seat in the Aruba 8 padded, but it is also adjustable, so you can customize it to fit your comfort needs. Having that as option will allow this kayak to grow with growing children, which is always nice for parents who don’t want to have to buy a new kayak as their children continue to grow. It is also nice to have this option if you decide that you would like to start spending more time out on the water and need to make adjustments while you are out there. In comparison to other more expensive kayaks, the Aruba 8 does not have quite as ample storage, but compared to other budget-friendly, beginner options, it has great storage. There are bungee cords on the front which be used to hold anything like backpacks or coolers, and it also has a stern hatch, which can be used to store any items you want to keep dry. Since it is a sit-in kayak for beginners, it is expected that your Aruba 8 will be taking on water. If you plan on taking any cellphone or radio to communicate with others, you will want to take full advantage of the hatch behind your seat to ensure that they stay dry. Most beginners will really appreciate the fact that the Sun Dolphin Aruba 8 comes with a paddle holder molded in. While this might seem like a fairly basic feature, it will prevent you from having to struggle or chase after runaway paddles. Losing paddles can be especially frustrating for someone just learning how to kayak, so having the molded-in paddle holders will definitely make any kayakers life easier. These are just a few of the key features on the Aruba 8 kayak that I believe you will enjoy. To see these features and others in action, you can watch the video below. Of course, there are several other kayaks you might want to compare to the Sun Dolphin Aruba 8 SS. The Aruba 10 is very similar to the Aruba 8 SS, but as I’m sure you can guess, it is 10 feet in length. It also weighs more at 40 pounds, but has a slightly lower weight limit as it only holds up to 250 pounds. It also does not have as much storage as the Aruba 8 SS. This option is for someone looking for more length in their kayak, perhaps to add more speed. If you are looking for a more compact option with more storage, the Aruba 8 SS is the better option. The Sun Dolphin Bali 8 SS sit on top kayak is also similar to the Aruba 8, but it is obviously not a sit-in kayak. It is slightly heavier at 30 pounds and only holds 197 pounds. This is a great option for anyone concerned with sinking or re-entering their kayak. If you need a higher weight limit, I recommend you stick with the Aruba 8 SS. The Old Town Vapor is 10 feet long and a little more expensive than the Aruba 8 SS. It also weighs 47 pounds and holds up to 325 pounds, which is a lot more than the Aruba 8. However, it also has less storage than the Aruba 8. If you are a larger person, you will probably prefer this Old Town Vapor kayak over the Aruba 8. If the weight limit isn’t an issue, and you like a more lightweight kayak, then I would stick with the Aruba 8. After you buy an Aruba 8 SS, you will be able to join your friends and other recreational kayakers on the water. This budget-friendly kayak will provide any beginner with all they need to get started. With all of the incredible features that Sun Dolphin adds, you will have a great experience spending time on the water.